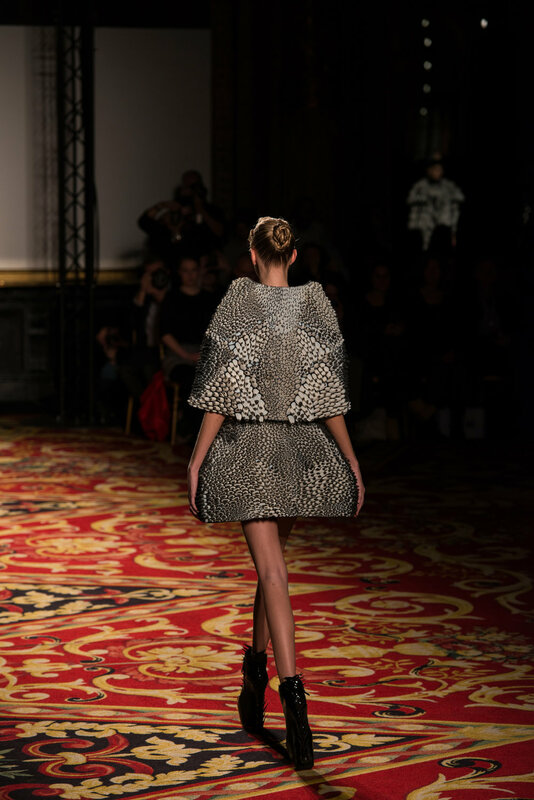 In this 3D printed skirt and cape, the tradition of couture is reinterpreted as “tech-couture”, where delicate hand-made embroidery and needlework is replaced by code. 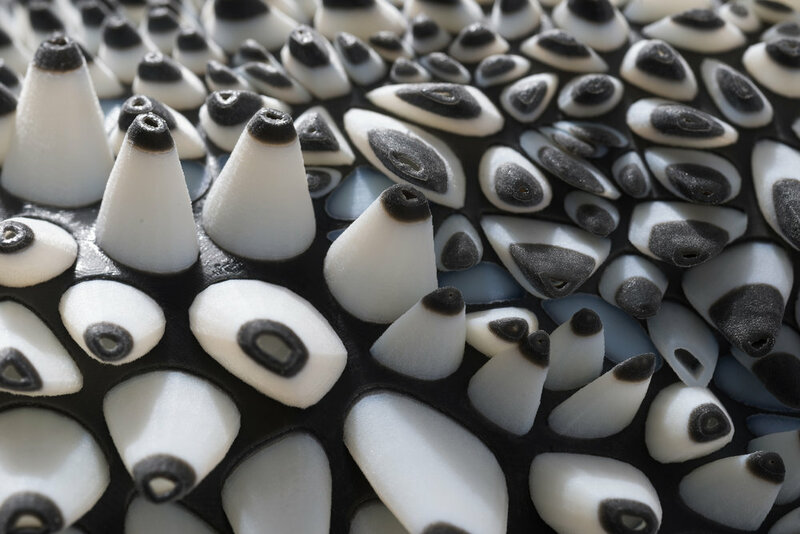 Produced using Stratasys’ Objet500 Connex multi-material 3D Printer, both hard and soft materials were incorporated within the design, crucial to the movement and texture of the piece. The ability to vary softness and elasticity inspired the designers to create a “second skin” for the body acting as armor-in-motion; allowing them to design not only the garment’s form but also its motion.